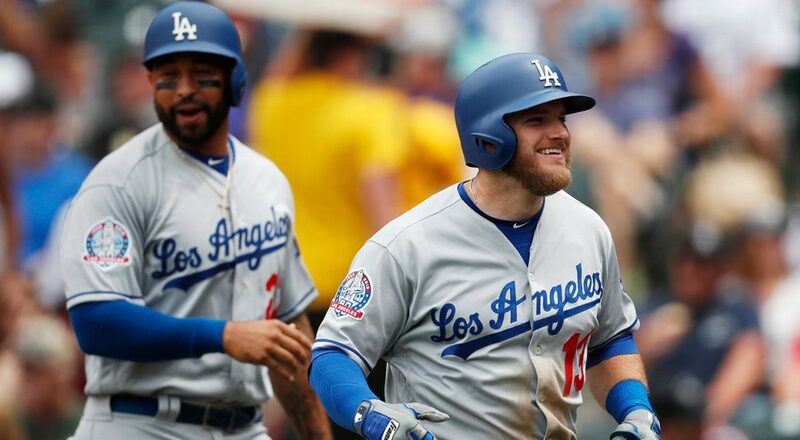 On Sunday, the Los Angeles Dodgers defeated the Atlanta Braves 7-2 and the team was once against helped by three players that were not expected to contribute as much as they have this season. Starting pitcher Ross Stripling in 6 2/3 innings gave up two runs, while striking out six and not walking a batter. Stripling improved his record to 5-1 with an ERA of 1.65. Max Muncy had one hit (two-run homer) in two official at-bats with a pair of walks and has a .272 batting average and 12 home runs. Matt Kemp knocked in a run with a single and his batting average (.351) and slugging percentage (.592) lead the National League. Before the start of Sunday’s game, Stripling at 2.0 led the team in WAR, while Kemp was third at 1.8 and Muncy fourth at 1.4. These numbers have surprised many in baseball but the Dodgers appear to receive strong performances from unexpected sources such as last year’s performances by Brandon Morrow, Chris Taylor and eventual rookie of the year Cody Bellinger. The Dodgers struggled early and a bullpen pitcher, Quad-A player and a thought to be beyond his prime veteran have become key players for the team as they return to form and fight for the NL West title. Stripling had 14 starts in 2016, his rookie season, finishing with an ERA of 4.52, but was moved to the Dodgers bullpen in 2017, where he started just twice with one coming on the season’s final day. In 2018, he started back in LA’s bullpen. Due to injuries to starters, Stripling returned to the starting rotation and since early May has a 1.33 ERA in seven starts with 53 strikeouts to just 4 walks. In 2015 and 2016, Muncy played with the Oakland A’s and had a batting average of .195. He was released by the A’s and spent last season in Triple-A for the Dodgers. He has adjusted his swing, and uses a leg kick while lowering his hands and that has produced more power and better production. Kemp was acquired from Atlanta and arrived 30 pounds lighter in spring training. He was on the trade block but when Justin Turner broke a wrist he made the team. With injuries to others such as Corey Seager, and Turner having only played 20 games, the production by Kemp has been vitally important for the team.